The majority of participants (60 per cent) preferred the robot displaying the most humanlike skin-coloured 3D virtual face over a robot with no face display (30 per cent) and a robot with silver-coloured simplified human features (10 per cent). As technology advances ‘socially assistive’ robots are being developed for healthcare. This includes as helpers for older people and at medical centres, in roles such as monitoring blood pressure. She says the study tested how appearance affected people’s perceptions of the robot’s personality and mind. They also tested people’s perception of the robot’s eeriness, (or the uneasy feeling or strangeness people experience when interacting with the robot). Researchers found that participants’ perception of the robot as unsociable and unfriendly was related to seeing it as more eerie. The study was a collaboration between researchers in health psychology and in robotics from The University of Auckland. “In the future this research will help us design robots to help people continue living independently in their own homes when they need some help,” says Professor Bruce MacDonald from the University’s Department of Electrical and Computer Engineering. The study aimed to understand the impact of robots with screens and give developers some advice about the design of faces for screen display, says Dr Broadbent. Study participants interacted with each of the three types of robots in a random order while it helped them use a blood-pressure cuff and measured their blood pressure. Participants then rated the robots’ mind, personality and eeriness each time. The robot with the most humanlike on-screen face display was most preferred and rated as having the most mind, being most humanlike, alive, sociable and amiable. The one with the silver face display was rated by participants as the most eerie, moderate in mind, human-likeness and amiability. The robot with the no-face display was rated the least sociable and amiable. One of the measures used, the participants blood pressure reading, showed no difference between the robots face displays. 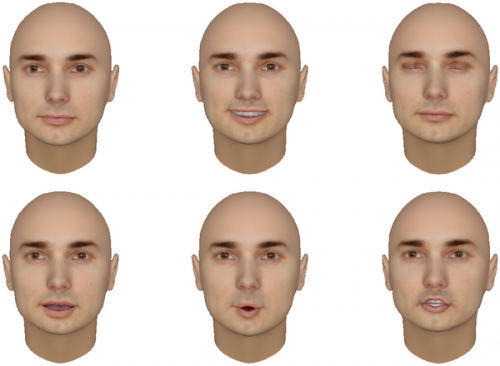 “These results suggest that the more humanlike a healthcare robot’s face display is, the more people attribute mind and positive personality characteristics to it,” says Dr Broadbent. “Designers should be aware that the face on a robot’s display screen can affect both the perceived mind and personality of the robot,” she says. The research was published this week in the online journal Plos One. This entry was posted on August 30, 2013 by techinamerica in SCITECH and tagged Auckland University, Blood pressure, Bruce MacDonald, Computer engineering, Old age, Psychological Medicine, Robot, Robotics.